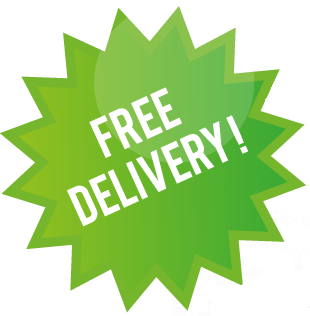 Do you want free delivery each and every time you order? Why do delivery charges exist? Whether you buy a box of staples or a £1,000 blood pressure machine, there is always a delivery charge to get the product to you. However, the more expensive the item the easier it is for the supplier to hide the delivery cost within the cost of the product. Therefore, some suppliers will request a minimum spend before they offer free delivery. You can view these minimum spend requirements by clicking here. Why do some suppliers offer free delivery when you spend over a certain amount? Processing an order requires time and money. For example, when you buy a box of spot plasters the order comes to us and we then place it with the supplier. The supplier places this into their system which is then printed out and the warehouse team picks the product from stock. This is then sealed in a box and a courier collects charging the supplier between £5-£12 to deliver. This whole process costs money and when the order is for a product of low value everyone except the courier loses money. Therefore to encourage customers to spend a certain amount, which covers the overheads of taking, picking and packing the order, suppliers will request that a minimum order value is placed. Generally this is between £50 and £100 per order and generates them enough profit that can comfortably pay the delivery charge without passing this onto the customer. Remember it's important that suppliers do make money, otherwise they will look to cut costs resulting in lower quality products which ends up affecting the patient. 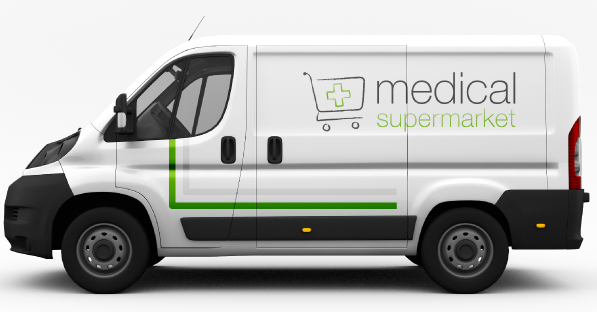 How can you qualify for free delivery with Medical Supermarket? 2) Regularly purchase your medical supplies, housekeeping, stationery and toners from Medical Supermarket. The whole purpose of Medical Supermarket is to be a one stop shop for all healthcare companies. 99% of the time we can beat any price and as we can source any item you require we should be able to reduce the number of suppliers you work with so that your costs and time you spend on administration reduces. Therefore, if we can help your company save money across categories we will offer you free delivery as a gesture of our appreciation. Unfortunately, if we notice your spend is slipping with us and you have started placing orders with other suppliers we would need to start passing the delivery charges back to you. Please note because pharmacy orders are not invoiced by Medical Supermarket, these delivery charges will still exist. Certain equipment lines will also incur additional delivery charges depending on whether you would like the products built and dispatched to various floors. If everyone who receives free delivery only orders one box of gloves each month Medical Supermarket would end up spending more on delivery charges than it makes and therefore would cease to exist within a few months! Although we know that on occasion you may need just one box, on the other occasions please try and consolidate your orders to 1 order a week/fortnight. This will help us achieve more efficiency which will in turn help us to lower the costs of the products and develop our site more providing you with the superior level of service that you deserve.